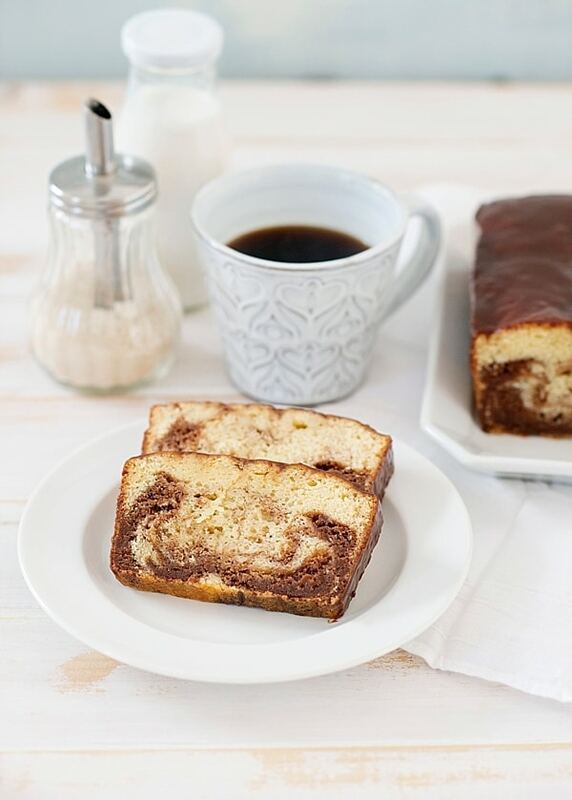 A Copycat Starbucks Marble Loaf Cake recipe that is simple to make and is even better than the coffee shop version. Perfect with a steamy cup of coffee and a rainy day. 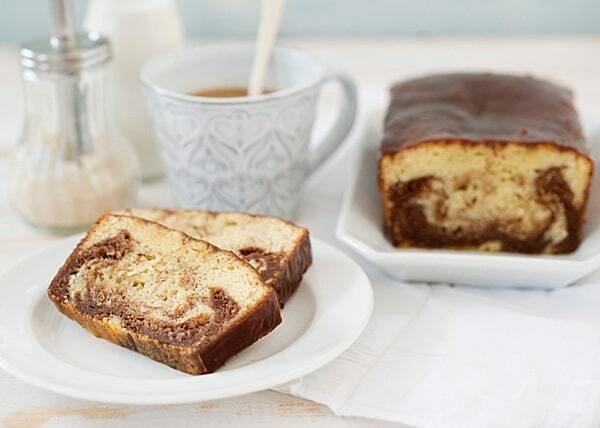 It’s a rainy Monday afternoon and I wish that I had a slice of this Marble Loaf Cake to snack on alongside my cup of coffee. It’s a perfect day for lots of coffee, the couch, and a movie. I made this recipe a long time ago before we even moved out of our Cape Cod house. I knew that I would be without a kitchen for a while so I got as ahead of the game as I could. Anyway, I had a piece of the Starbucks version last weekend. Let me say, I would pick mine over theirs any day. This one is moist and flavorful, the one that I had a few bites of notsomuch. Here in Germany, the baked goods are so incredible that it is funny to even buy one at a Starbucks, but after hour 16 of soccer, you do what you have to. Something that I LOVE about Germans is that they appreciate afternoon kuchen (cake) and there is a good bakery in every little neighborhood. Ours is right outside of the gate and you can buy freshly baked bread (and a half loaf, which is so handy), pastries, and cakes all day long. A personal favorite is a streuselschneken. It’s a cross between a cinnamon roll without cinnamon but with citrus instead and a croissant, topped with streusel and a glaze. They are DIVINE. This cake looks far more complicated to make than it is. I promise it is very minimal effort with a large reward. This cake also freezes beautifully so if you have some extra time, make another one at the same time for another day. Wrap it well and keep for a rainy Monday. 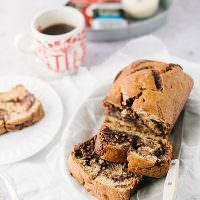 You can find the full recipe for Copycat Starbucks Marble Loaf at the Dixie Crystals website or by clicking the link below. After coming back from Paris I decided that our bakeries needed to offer the half loaf of bread too! Such a great idea and then no waste. 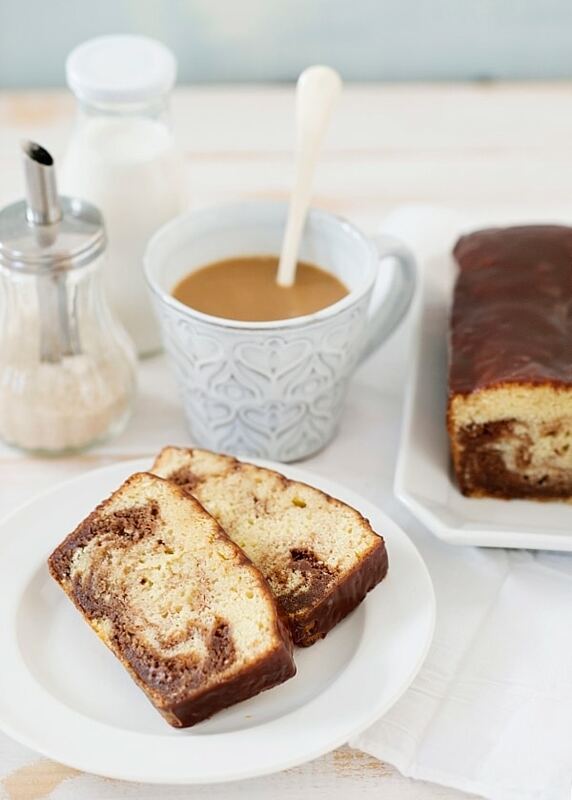 I am happy that you made this recipe as this loaf cake it my go to grab when I am at Starbucks! 1000%!The half loaf os brilliant.